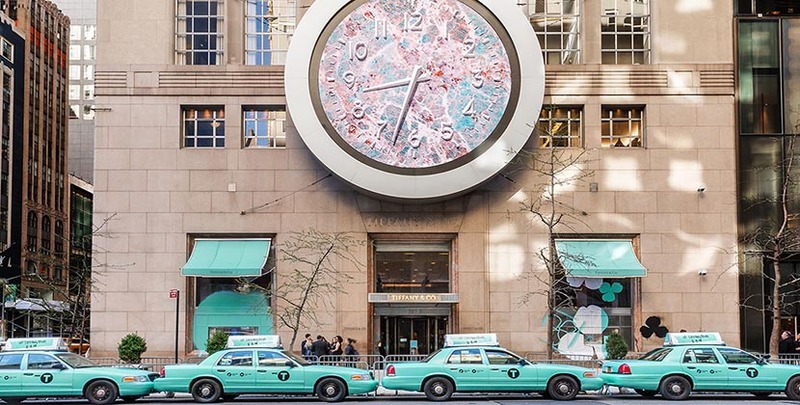 Tiffany blue New York City taxis in front of the flagship decorated with a digital screen to show a clock and behind-the-scenes footage Photo courtesy of Tiffany & Co.
Tiffany has been a glittering part of New York City history for over 180-years. 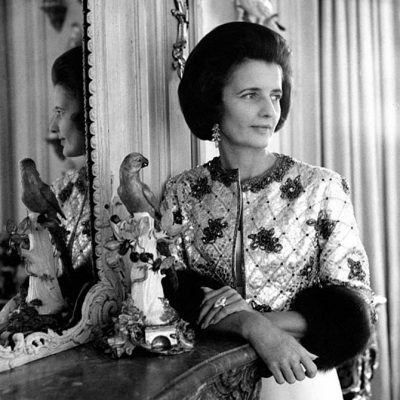 The flagship at Fifth Avenue and 57th Street is as much of a landmark destination in the Big Apple as Rockefeller Center or the Empire State Building. Yet, Tiffany has never loomed so large over this town as it did today. To celebrate the May 3 launch of the new Tiffany Paper Flowers jewelry collection, the first created under the artistic director Reed Krakoff, and the upcoming “Believe in Dreams” ad campaign, pop-up installations appeared all over the city. Taxis were transformed from yellow to Tiffany Blue. The black stairs at several subway stations were brightened up with the unmistakable color and the special locations began dispensing limited-edition Tiffany Metro Cards. The fresh flowers at bodegas were replaced with buckets of Tiffany blue paper flowers. 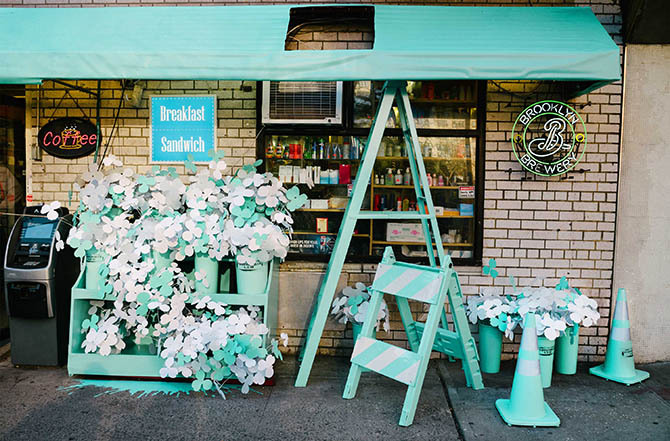 There were Tiffany Blue coffee carts, serving complimentary special brews and croissants. 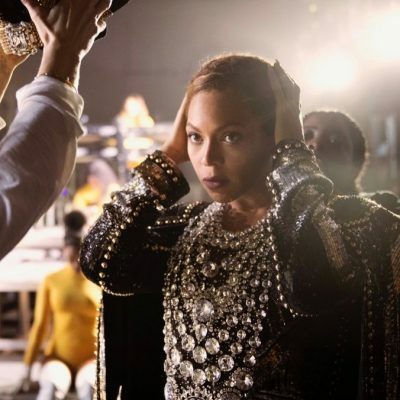 The Atlas clock at the Fifth Avenue flagship store was transformed into a digital screen with behind-the-scenes footage and vignettes from the campaign film. At the cutting edge of the new trend in Instagram, all the photos were deleted from the Tiffany Instagram account on April 28. The social media mavens have begun to populate the Insta again with black and white teaser images for the collection. The only color in the photos is, you guessed it, Tiffany Blue. By May 4 all of the festivities will be over. In other words it is all happening in a New York minute. Visit this special Google Map to find the activation locations now.